• Drinking soda all throughout the day is too much. Some teenagers drink as many as 8 or more a day. • Sipping even just one can or bottle all day is not good. • Buying 20 ounce serving sizes of sodas and super sizing your soda order is worse. • If you must drink a soda, limit yourself to 1 a day and preferably not Mountain Dew. Whether it’s called “pop” in the Midwest and Canada or “soda pop”, “soda water,” or “soft drinks” in the South it is all the same. 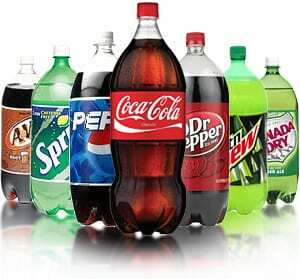 If you drink soda, drink it in moderation. I recommend to my patients to drink with a straw to keep the sugar away from your teeth. Also swish your mouth out with water after drinking soda. Remember fruit juices are not your best alternative to soda because they usually are acidic and have a high sugar content to. I hope this Tooth Talk encourages you to replace the sodas in your diet for 8 glasses of water a day. If you have any questions please contact me, Dr. Jacqueline Butler Mitchell, DDS, dr.jmitchell@integritydentalcares.com, Integrity Dental Care, PLLC, (615) 445-8700.